We are experts in creating memorable, dynamic websites with real character. Take a look at what else we can do, from re-branding to email marketing, responsive web design to concept creation. And generally just being a bit great. Our creative team of designers and illustrators will help you get the right look, feel and tone to make your business stand out from the competition and engage your audience. High quality, no fuss websites that convert. We will work with you and plan the perfect website for your business. Our design and development team will use the latest in design and tech to make your vision a reality. Need a new domain name registered for your business? No worries, we have it covered. You can rest assured with complete peace of mind when you take out our fully managed Web and Email hosting services, hosted on superfast Dedicated and Cloud Servers brings performance and reliability into the mix. Add your own personal touch to all of your company correspondence with fully customizable email signatures and Bespoke and MailChimp email marketing templates. We will make sure you feel at ease, safe in the knowledge that your site is secure. We know that protection, and peace of mind is key. Leave it to us. If you’ve got an idea, we’d love to hear it. We understand that each project is unique, so we quote based on your individual requirements. We’ve delivered digital campaigns countless times before so we’ve have plenty to show you. Give us a call or send a message and we’ll get the ball rolling whenever you’re ready. First port of call for us is to make the time to really understand your project. We’ll never push you to spend more, but simply deliver exactly what you need. Got a deadline? Let us know and we’ll have it covered. No unrealistic promises and no delays — we run a tight ship at Shout and will keep you updated. What the development team don’t know about coding is the stuff of fantasy. The most reliable brains on the south coast, your project is safe with them. Our team of versatile designers understand style. First impressions are everything so if you have something that could look better then look no further. We believe the key to success is nurturing great relationships with our clients. We would love to get to know you, so don’t be shy and get in touch. Let’s see if we can work together to build a websites that’s as unique as you are! 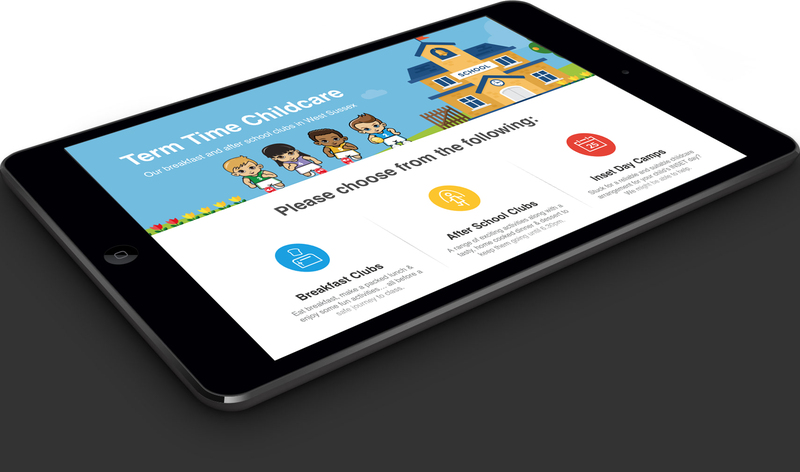 Our company, Pioneer Childcare, has enjoyed a close working relationship with Shout for many years now. Shout use their knowledge & expertise to ensure that our website maintains a modern look and our email functionality is both up-to-date and reliable. Throughout our time working with Shout, we have been consistently impressed with their professionalism, enthusiasm & reliability. We would wholeheartdely recommend Shout (and indeed have done) to other companies looking for their own web solution.